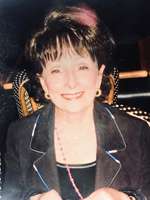 Joyce Cantor Epstein, 89, of Franklin, Michigan, died on 17 January 2019. The Funeral was held at IRA KAUFMAN CHAPEL on Friday, 18 January 2019 at 1:30 PM . Rabbi Rachel Shere, Rabbi Mark Miller, Cantor Rachel Gottlieb Kalmowitz officiated.